Seeking the approval of others -- in the hope of measuring the worth of ourselves -- makes as much sense as looking for our reflection in a falling drop of rain, with the main difference being this: A raindrop actually lasts longer than does that fleeting sense of self we win for having sold our soul for another empty smile. Looking for ourselves in the eyes of others throws us behind the walls of a psychic prison. The door slams shut each time we find ourselves feeling good about ourselves simply because someone has given us a needed nod of approval. Let's investigate this strange sequence of psychological events that leaves us in a prison of our own making. Whenever someone approves of us, it gives us a feeling we like. These silent emotions tell us that we're good, wanted, or in some way important. But the real pleasure in these sensations is that it secretly serves to strengthen the way we want to feel about ourselves, that we're worth being cared about, and that our existence has meaning. If these positive emotions were the true end of a happy story, there wouldn't be a problem. But they're never the end. At the same satisfying moment of our being unconsciously identified with this feeling of being approved, something else is happening to us deep within our own uninvestigated nature. As our approval-provided feeling of self worth starts to fade -- which all such feelings do -- we begin feeling as though we too are about to fade away! But, if we could only see behind these feelings of fading back into obscurity, what we'd see is that our feelings of self worth aren't really disappearing at all. They're only going through a state of flux, a psychic transformation that turns these once-pleasing emotions into their own undesirable opposites. Now, the same feelings that had confirmed us only moments before become a source of misgiving, internally questioning us as to our own importance. So we start to worry. Maybe we're no longer needed? Maybe no one loves us? And as this vicious, invisible, psychological process moves towards its inevitable conclusion, we begin feeling a subtle form of fear, a distant dread. We've all felt that unpleasant inner pressure of a brewing anxiety. It heralds the coming of insecurity and self doubt, in much the same way as distant thunder warns of an approaching storm. And the stirring of this first dark wave within carries an unspoken message on its winds. It warns us of a serious loss of some kind if we don't do something right away to shore ourselves up. And so we go out looking for approval all over again! Never again fawn over anyone to show that you're on his or her side. Never again exchange your smile in the hope that someone who is capable of betraying you, won't. Summary and Instruction: Face your fear of disappearing, without doing anything about it... and something will disappear. But it won't be you. The only thing that will fade from view will be your own fear of fading. And, as it disappears, what appears in its place, right before your inner eyes, will be the you you've been looking for in all the wrong places! This is the real beginning of having your own life, of being your own person. Only this time your sense of yourself is coming to you from reality itself. And this is the only approval you'll ever need, the only one that never fades. 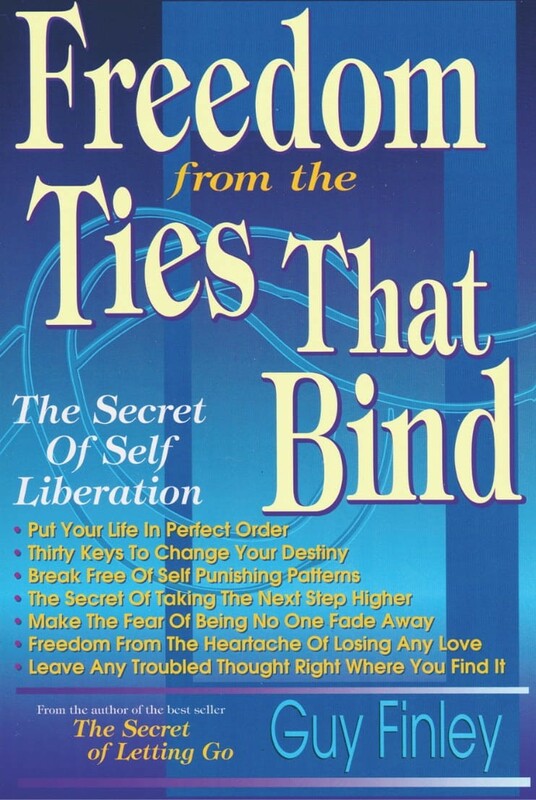 Excerpted From: Freedom From the Ties That Bind, pages 102-105.